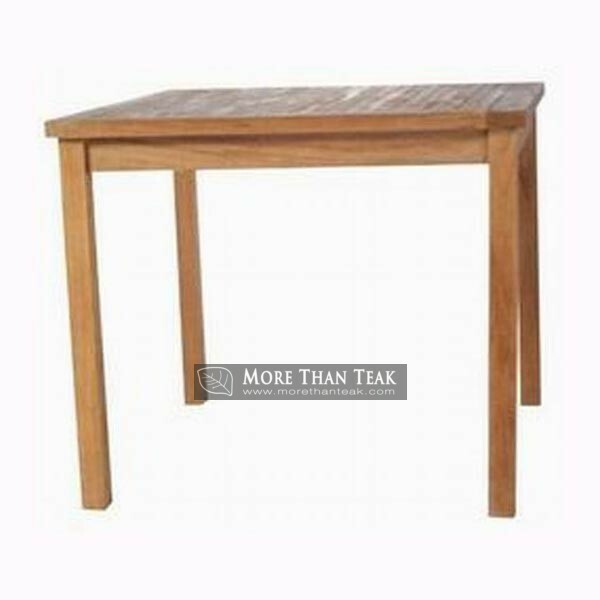 Bistro table 70 x 70 is a teak table which you can use for dining. With a simple design, yet powerful, this table is very suitable to be placed in your garden or outdoor patio. 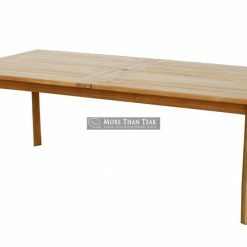 Besides beautiful to decorate the outdoor area of the house, teak wood table is very appropriate to complement your cafe or restaurant businesses. 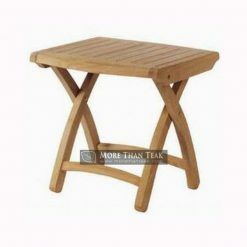 It is suitable for use as a patio dining table in your cafe. Your business looks very elegant with teak furniture products that we design and create, because we are only working with professionals. With the best ingredients from the tropical forests of Indonesia, we are sure you will love the durability and toughness against the weather. Bistro table is suitable paired with one of the folding chair or a garden chair another in our catalog. Have it in your backyard like staying in luxury resorts. With emphasis on quality results we guarantee you will love every surface texture of teak on the table that we made. Why do not you order it now? You can see the dimensions of the size of the table and then customize it to your outdoor area. 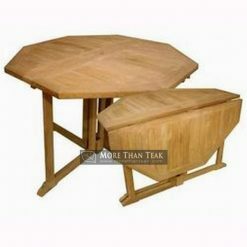 The processing of the wood before it is made into a table, we do according to prevailing standards. 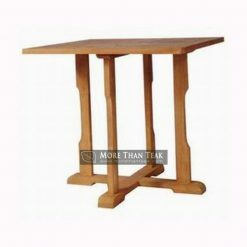 Best quality assurance to be made by the professionals in the design and manufacture of wooden furniture.